Rome, Nov 30: Italy on Wednesday condemned North Korea's test launch of a new type of intercontinental ballistic missile which is allegedly capable of striking the whole of continental America, terming it a "clear threat" to regional and international peace and security. "I mostly firmly condemn the new ballistic missile launch by North Korea. Italy is committed to increasing international pressure on an irresponsible regime," Italian Premier Paolo Gentilonitweeted. 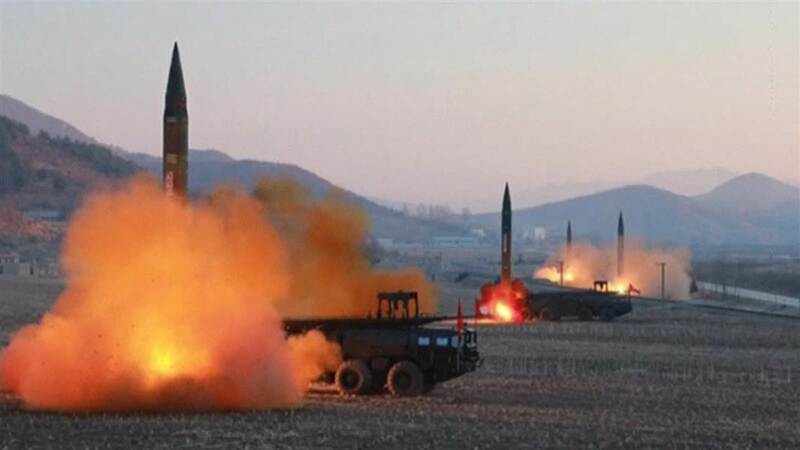 Foreign Minister Angelino Alfano also joined international condemnation of North Korea for launching a new ICBM which the rogue state claims is its most powerful yet. Alfano said the early morning missile test of the Hwasong-15 missile was "of very great concern" and ordered the rogue state to immediately halt its nuclear weapons programme. "It is yet another clear violation of the many United Nations Security Council resolutions, and a clear threat to regional stability and to international peace and security," he said. North Korea's ongoing development of full nuclear capability represents "an open challenge to the international non-proliferation regime and constitutes a cause for very great concern," he said. The UN Security Council, of which Italy is currently president, would later on Wednesday convene "to discuss the latest developments," Alfano said. North Korea "must immediately give up its missile and nuclear programme and abandon the road to self-isolation and defiance of the international community", he added. "Italy will continue to do its share in giving a firm and cohesive response at European and international level," said Alfano. Pyongyang says the missile reached an altitude of 4,475km and flew 950km in 53 minutes, close to independent estimates made by South Korea's military. An analysis by the US-based Union of Concerned Scientists concluded that the missile could have travelled more than 13,000km on a standard trajectory, thus reaching "any part of the continental United States".